Canada: Reviving the Islamic Spirit ~ 2012 ~ “This is our Time”…. Well it’s almost that time again. Time for this year’s Reviving the Islamic Spirit Conference. A time for Muslims to once again exploit the freedoms of the West, as they are uniting and rallying for what is being called “their time”. A time in which the West is plagued and dying because of the politically correct disease. A time in which Muslims are the West’s Dr. Kevorkian. Over and over I have pointed out examples of Muslims using the freedoms of America against non-Muslims to slowly take over from within. One of their favorite ways of doing this is by targeting naive kids with only partial knowledge of their poison like so called religion. Tonight we will see that the Muslims Public Affairs Council (MPAC) is guilty of this! Canada ~ Reviving the Islamic Spirit Conference ~ To Take Place on Christmas! Unfortunately this year is the 10Th anniversary of the Reviving the Islamic Spirit (RIS) Conference (Canada), and it will be taking place over the Christmas holiday on December 23-25, 2011. This is not the first time Islamic conferences have been held place over the Christmas holiday. Last year Muslim Congressman Keith Ellison, spoke at a Sharia convention held by The Muslim American Society, and the Islamic Circle of North America in Illinois. It does not matter where we turn, Islam is on the move and slowly taking over within the law. 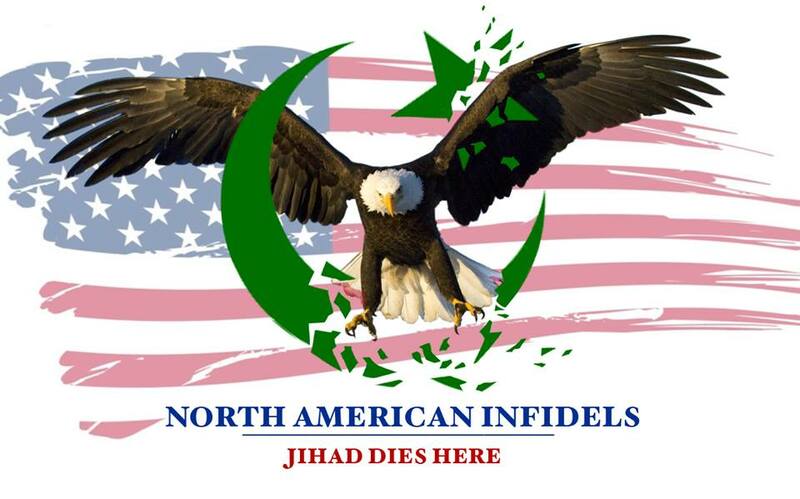 Some other recent locations in North America where Islam is on the move are Antioch Tennessee, Brooklyn NY, Chicago, Dayton Ohio, downtown Manhattan, downtown Manhattan again, and downtown Manhattan again. Unfortunately the list continues onto Florence Kentucky, New Jersey, and Wisconsin. Last month I challenged Alan Colmes to a debate on Islam, and at the end of the article I had posted the following statement. We can now add him to the following list of these other known Islamic excuse makers, that have refused to debate me on Islam. In the comment section of the Colmes post, Jew hating Imam Syed Soharwardy left the following comments. How long are non-Islamic countries going to continue and lie to themselves, about our Muslim communities? They are are not here to assimilate, they are here to unite and takeover. Examples of them uniting can be seen in Australia, California, California again, and Cali again. Other areas being Chicago, Florida, Italy, Scandinavia, and the UK. Now lets take it to Canada. Just a few days I posted an article entitled “Lying Imam’s “Fatwa Against Terrorism” Exposed!”, in which I pointed out just how meaningless the Fatwa is. I had also sent the link to the Imams and my friend Louis who runs Annaqed “The Critic”, sent them an article about Sharia and the US Constitution. I have not yet received a response, but here is what Louis got back. Lying Imam’s “Fatwa Against Terrorism” Exposed! When I woke up today and saw this Fatwa, I was a disappointed by how many people bought into this and believes that this fatwa will change things. As usual with Muslims we have to read between the lines. Here is the Fatwa exposed.